The Alabama state parks cover a big range from weddings in the mountains to white sandy beaches, pus lots of gorgeous wedding venues in between. There are parks that have stunning historical buildings you can rent for very little and you could even have a rustic wedding with everyone camping. Southern weddings are known to be big affairs which can be expensive. By using the facilities at your local State parks you can create a beautiful wedding at a fraction of the cost. There are function facilities at the DeSoto State Park with a choice of 3 rooms and a scenic deck. Plus you can also have an outdoor wedding at the park, you will need to contact the park office for more information on this and to book. There is also the Birmingham Botanical Gardens, where you can have your wedding ceremony in their rose gardens for as little as $100. Tannehill State Park has a lovely historical church which you can rent for your wedding plus the park also has a campsite if you were looking for a more rustic wedding. There are also buildings you can rent for your wedding reception the Cane Creek school is one and so pretty with the white boards, a great rental price too - $135 for the day! Can’t get over the price, however it doesn’t include the price of entrance to the park which is $4 per person. You can buy tickets beforehand. 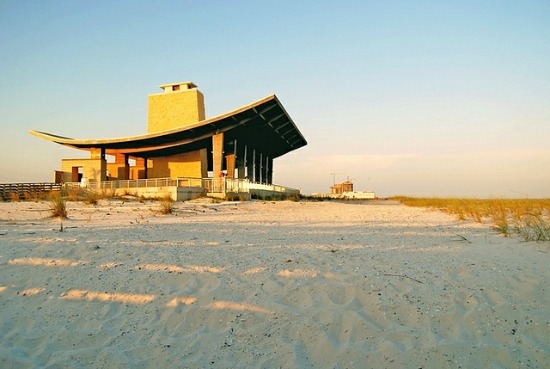 Gulf State Park in Alabama is not your typical park as there are stunning white sandy beaches. You can hold your wedding ceremony on the beach, the permit costs $50. Daphne Bay Front Park, beautiful place and wow $555 to hire the whole facility which has indoor and outdoor spaces, plus has a kitchen that can be used. Ruffner Mountain Nature Preserve – the mountain air and woodlands create a real back to nature wedding but with all of the modern facilities. Rental of the tree house or back porch starts at $50/hour during normal opening times which is 9 to 5. Love that you can also hire a charcoal grill for $20 not including the charcoal which would make a lovely relaxing reception for after your ceremony. 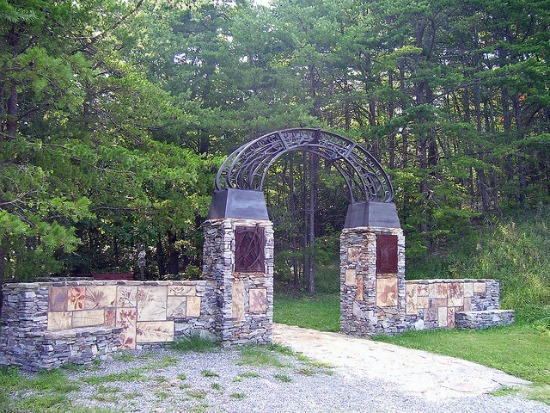 Cheaha State Park has a lot of different venues that you can hire for your wedding with full day hire costing $225 including the cost of your guest’s entrance fee if the park caters for your wedding. Catering packages start at $10.95 per person. 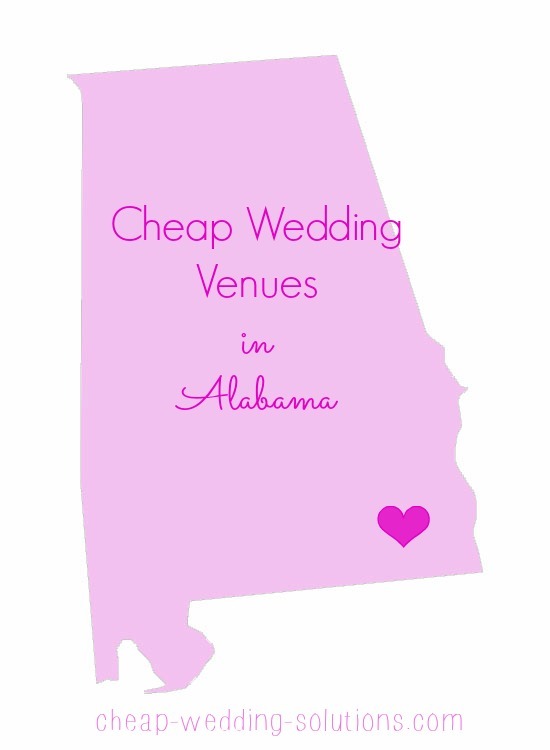 The variety of cheap Alabama wedding venues is amazing, the State parks will provide a stunning backdrop to your wedding but there are many other venues in the towns. The Cintronelle Depot Museum and St Thomas Episcopal Church. Please do not be put off by the name! This is a great historic venue that only costs $500 to rent both places for your ceremony and reception. The Pitman Theatre, Gadsden. This is a really quirky venue and so cool. All set up for weddings and will cost $300 for the 6 hour minimum hire charge. There is also a marquee set up and they provide table linens but you do have to tidy up after yourselves. Grange Hall, Old Town Alabama. Beautiful building built in 1874 which will cost you $500 for a full day's hire. Avondale Brewery, Birmingham, Alabama - how cool would it be to have your wedding reception here! $1,200 for the day hire which does include tables and chairs but not staffing costs.